Here is yet another veterinarian, who happens to be an AAHA vet and 43 year member AVMA vet, who in my opinion, doesn’t care what the truth is about declawing. 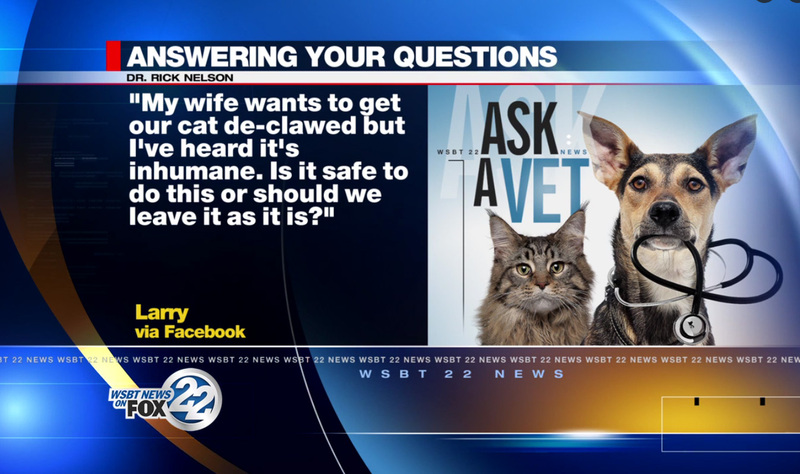 WSBT 22 Interviewer; Our next question is from Larry, he writes, “My wife wants to get our cat declawed but I heard it’s inhumane”, is it safe to do this or should we leave it as it is? When cat owners call Animal Aid Clinic South to ask for the price of a spay the employees ask if you want a declaw with that. They say a spay/declaw is $335 and for $20 extra (it’s optional) you can get take home pain meds. They ask if you want the two paw or four paw declaw and say that they leave it up to the cat owner. They say that they do declaws all the time. Not once did they mention the humane alternatives. They say that your kitty will be a little iffy about putting weight on their paws for a few weeks but like any surgery it takes time to recover. 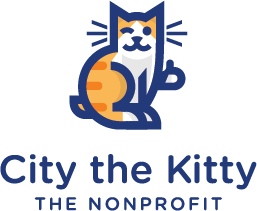 Animal Aid Clinic South has kitten wellness packages for around $150 a month for 4 months of payments. You can add a 2 paw or 4 paw declaw to a Kitten Wellness package and say they leave it up to the cat owner as to which one. The 4 paw declaw add on is around $200 a month. 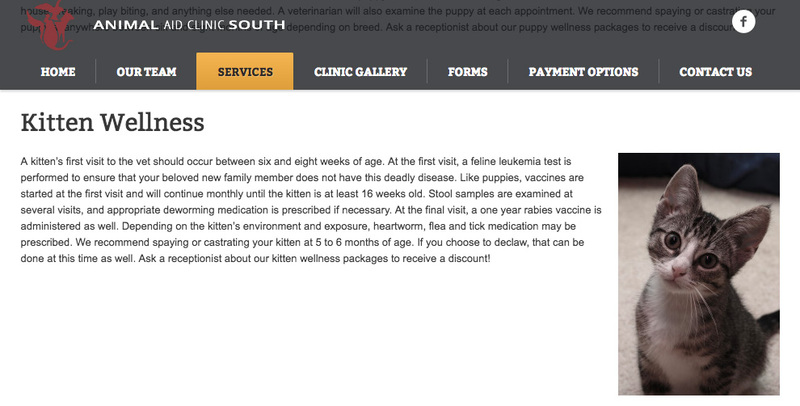 Here is a page from their website where they talk about declaws on their kitten wellness page. 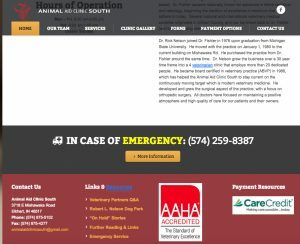 Another veterinarian that WSBT-TV uses on their Ask a Vet show is Dr John Longenbaugh who is the owner of Maplecrest Animal Hospital in Indana which is also an AAHA hospital. Another veterinarian that WSBT-TV uses on their show is Dr Sara Granberg from Middlebury Animal Clinic. When a cat owner calls for the price of a spay and asks what else do they recommend to have do with the procedure, they say that you can do a declaw at that age also. They say that they do declaws often. A vet tech from this clinic said that the method that they use is the clippers. She said they used to use a laser but that the procedure took longer to perform and the cat had to be under anesthesia longer and there wasn’t less bleeding so it wasn’t worth it. When asked if there are any negative long-term consequences to declawing, the vet tech said that in less than 1% of cats there can be phantom pain but that happens more in the older cats that are declawed. She said that usually after a month the cat will be back to normal but in the older cats it might take longer. PLEASE REMEMBER TO ALWAYS BE RESPECTFUL AND TAKE THE HIGH ROAD WITH YOUR COMMENTS. WE MUST RESPECTFULLY EDUCATE THE PUBLIC ABOUT THE FACTS ABOUT DECLAWING. WHEN YOU ARE DISRESPECTFUL AND THREATENING IT HURTS THE CAUSE, IT’S WRONG, AND IT HURTS ME BECAUSE THEY WILL BLAME YOUR DISRESPECTFUL WORDS ON ME.